Is it time to let go of old habits and introduce new choices that create more energy, better health and a greater sense of wellbeing? 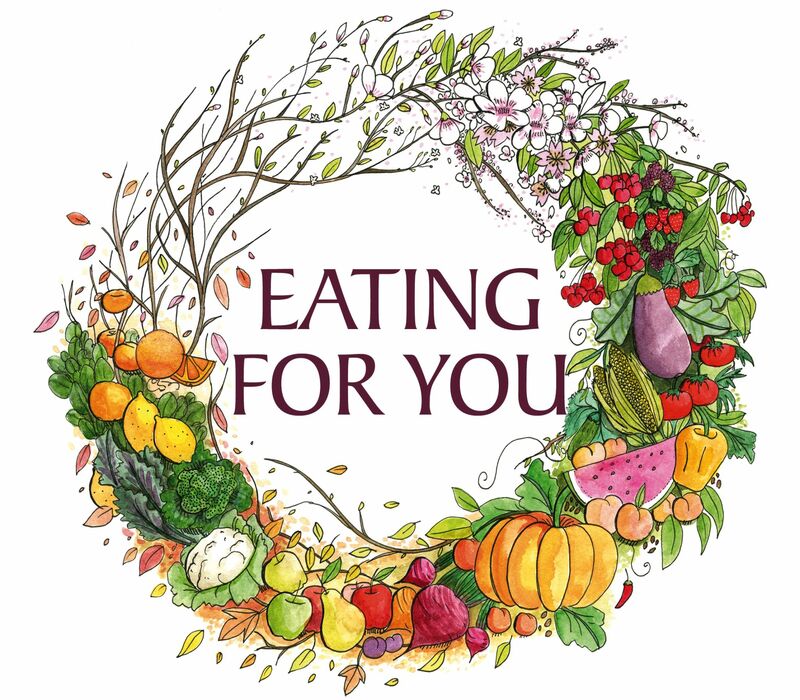 Eating for You offers a totally personalised approach to eating and living. It shows how mindfulness helps to transform unhelpful and unhealthy habits. 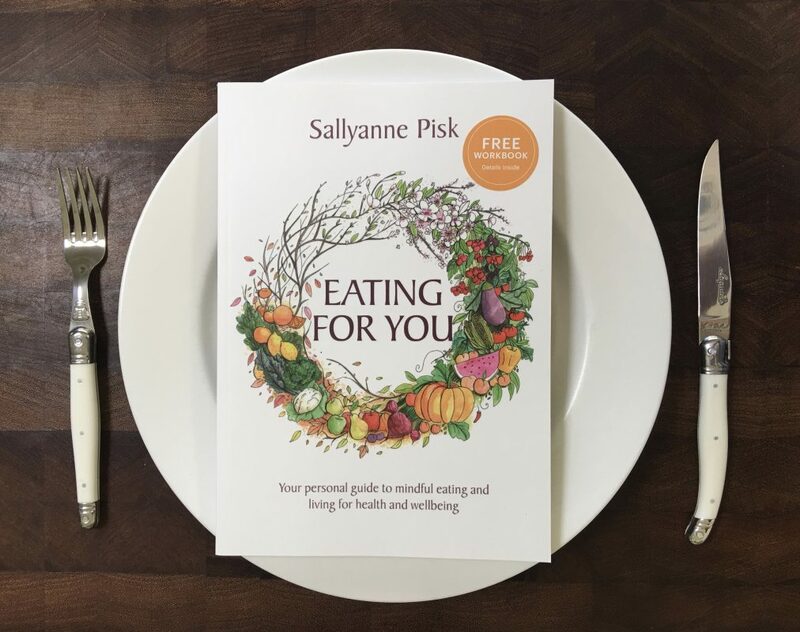 This week I share an extract from the book, Eating for You, to expand upon the concept of mindfulness and the Eating for You approach. “Eating for You takes you back to the basics of eating — the why, what and how. Many people are seeking improved health and wellbeing through diet and lifestyle changes and advice is plentiful. We are all different so the promotion of one perfect diet for everyone is misleading.Eating for You provides personalised guidance enabling you to discover what specifically works for you. The search for your ideal way of eating is over. Eating for You promotes mindful eating and living. Mindfulness — focusing attention — allows you to tap into your eating habits, your motivations and provides you with tools to reassess your relationship with food. Mindfulness improves clarity and confidence in our decision-making and creates a quiet space in our often busy and crammed lives. This practice is pivotal to Eastern cultures and is now gaining acceptance in Western medicine as a result of scientific research. Mindfulness has been shown to assist dietary change, reduce blood pressure, increase concentration span and improve mood. It is something that we all can learn. Eating for You combines Western nutritional science with practices from the East, in particular Ayurveda and Traditional Chinese Medicine (TCM). It demonstrates how you can incorporate simple practices from Ayurveda and TCM to increase your understanding of how your eating habits impact your health. Western science has uncovered risk factors for disease including patterns of eating and has contributed to the development of diagnostic tests to assist the prevention, identification and management of illness. Eastern medicine is based on thousands of years of observation and practice. Ayurveda and TCM emphasise the connection of our mind and environment with our total health. A combined approach, like the one outlined in this book, is often referred to as integrative nutrition or integrative medicine. The Eastern approaches are aligned with the original Ancient Greek interpretation of diet, diata, as they encourage you to consider all factors relating to your health. Diata, which means way of life, acknowledges the influence of your environment and lifestyle on physical, mental, emotional and spiritual health. All lifestyle factors — eating, exercise, sleep, relationships and time for personal reflection — are interlinked and equally important. Each factor is a piece of the puzzle that contributes to your total picture. If you leave out vital pieces, you won’t enjoy complete health and wellbeing. You might be reading this and thinking: “I have tried to change the way I eat and failed so why will this time be any different?” Existing habits are strong and transforming them into helpful behaviours requires special attention. You will be better placed to embrace change by uncovering your habits and making mindful choices. Introducing new eating behaviours requires significant mind and lifestyle shifts. We need to acknowledge that change is possible, but often it’s not easy to introduce and maintain. Eating for You is a personal guide to eating and lifestyle. Rather than telling you what to do it provides guidance through information, tips, strategies and end-of-chapter reflection exercises. The reflections encourage you to consider the relevance of the different approaches offered and to assess how they may benefit you. You are also shown techniques that help you to align your thoughts and actions with what you wish to achieve. The topics and reflection exercises in chapters 1 to 9 have been presented in this order to help you identify what is important to your health and wellbeing. I encourage you to complete the end-of-chapter reflections in the order presented. They are designed to provide the direction and content for your personalised eating and lifestyle plan. The book, Eating for You, is available for pre-release sale on this website.